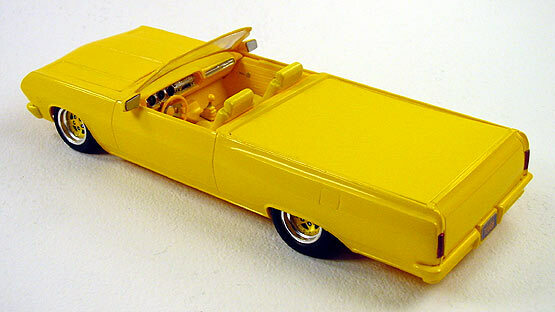 I lopped off the top of the AMT 1965 Chevy El Camino kit to make this phantom roadster pickup. Other mods include smoothed bodywork, a custom tonneau cover, a Mustang GT interior, and monochromatic paint scheme. In the early '90s this model was pictured in Scale Auto Enthusiast magazine in a story that Tim Boyd did about roadster pickups.